I welcome you to these pages to learn how we can work together for your healing and learning. Here you'll discover an integrative approach to healing trauma, chronic illness and challenging life transitions that supports your growing awareness of your interconnection with all life. In addition to individual therapy, I offer books, articles, and workshops to students and practitioners of the integral healing arts. These resources help you form co-creative healing partnerships in which you can foster deep healing with those who come to you for help. 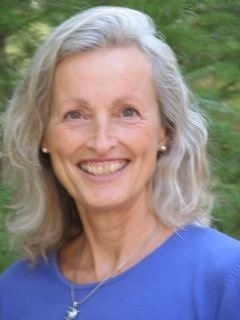 "Integral healing has found an innovative thinker in Diane Tegtmeier. Relationships That Heal is a MUST READ for anyone who practices healing in today's world." I offer a variety of classes, workshops and mentoring opportunities to help both students and experienced practitioners of the integral healing arts explore the healing process and the relationships that support it. These include a new, natural approach to professional ethics; aquatic energy healing; healing trauma and Basic Watsu. I can organize the subject matter of these courses to fit the training needs of schools of the healing arts and your students. 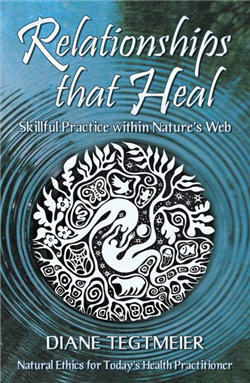 into the evolving web of life for healing. Check this website often as I add new pages of information for your healing and learning.